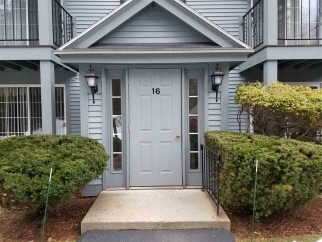 Bright 1 bedroom deluxe unit on the 2nd floor in a highly sought location in the community. Large living room, eat-in kitchen, plenty of closet space with 2 walk-ins. And, another storage with your carport. Heat and hot water included in the low monthly condo fee. Beautiful clubhouse, pool, tennis courts, maintenance, landscaping snow removal, etc. Laundry facilities in the building. Make an appointment today!